This is more than just girl talk. It's all that's new and fresh in the world of beauty and wellness—so you can look good and feel good, inside and out. We’re welcoming all teen girls to join us for a spa party where you'll learn how to take care of your skin, what makeup to use and easy on-trend hairstyles. Enjoy tasty snacks & "mocktails" while learning from our pros! Satisfy your sweet tooth at our candy bar! All attendees will receive a gift bag valued at over $50, filled with free skin, makeup and hair products. Grab your girlfriends and join us for a girls night out! Learn how to take care of your skin, prep for a flawless makeup application & perfect the timeless smokey eye. Indulge in our signature cocktail and delicious charcuterie board. All attendees will receive a gift bag valued at over $50, filled with free makeup products and tools. Just in time for Father's Day! Spend the morning bonding with your daughter while learning how to do quick, easy hairstyles and manicures! Includes novelty ice cream treats and gift bags. Ages 5-12 yrs old recommended. Please note: Space is limited. Reserve your spot today by clicking on the button above or calling us at 518-489-5231. Pre-payment is required. Spots will NOT be held without prior payment. You can moisturize, exfoliate and apply all the topical products you want—but if you’re not taking care of your body from the inside, you won’t achieve the glowing skin of your dreams! NEW! 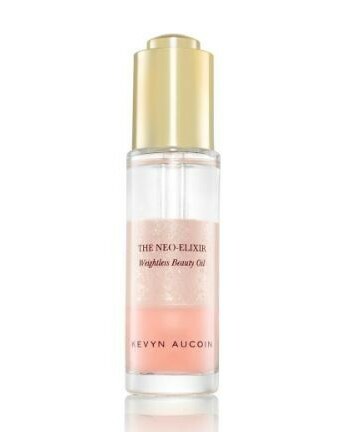 The Neo-Elixir: A liquid highlighting oil that primes, hydrates and highlights the skin! Apply directly to the face or mix with Kevyn Aucoin's The Sensual Skin Enhancer for a full coverage dewy finish! We offer skincare, spa and salon treatments in a beautiful, soothing environment to help take care of you. Copyright © 2017 Complexions Spa, All rights reserved. You are receiving this email because you provided us with your email address for the special offer.